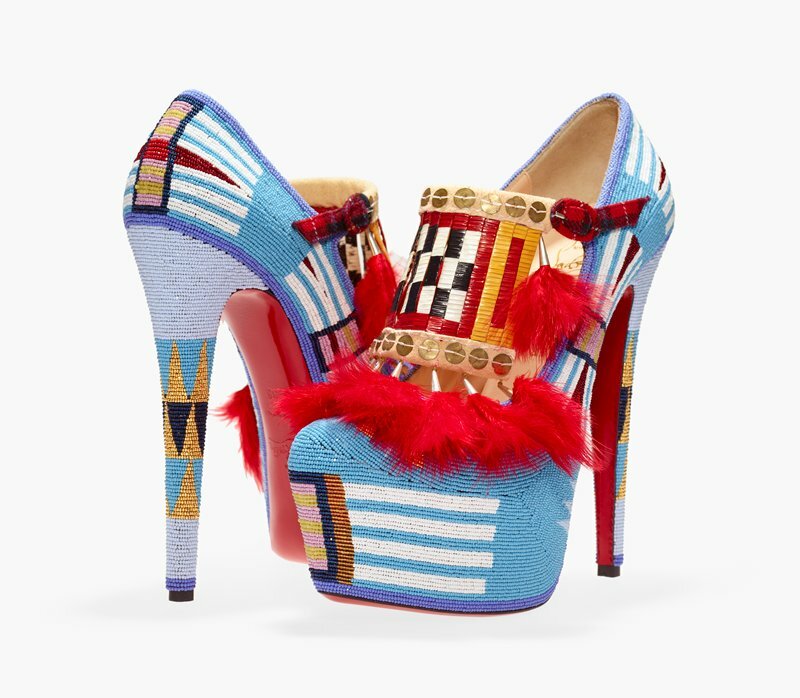 Award winning artist Jamie Okuma has applied a Native American aesthetic to a pair of Christian Louboutin stilettos. Meticulously beaded and quilled, they are a contemporary version of highly decorated moccasins. Okuma researches historic artwork but updates the aesthetic to appeal to contemporary Native tastes and concerns.